Summer in Rome is no joke. With temperatures hovering around 90 F/ 32 C and not much access to air conditioning, eating gelato is my number one survival tip to staying cool. Finding the best gelato in the city of Rome is not an easy feat, however. There are about 2,000 gelaterias in this city alone, so weeding out the tourist traps from genuinely delicious ice cream can be a challenge. Here are a few tips and tricks to make sure that you have the best gelato of your life while in the Eternal City, thoroughly tested by locals for trusted recommendations. As with any stores/shops/restaurants in the center, gelaterias around monuments and popular areas can often be hit or miss. Vendors here often have more expensive products of lower quality. While there are a some exceptions to this (which can be found with prior research), your best bet is to move farther away from the center when searching for your gelato of the day. While it can be difficult if the store doesn’t advertise themselves in English, there are some ways to tell if they actually have, "the best gelato in Rome!". Inside, a store may advertise their ice cream as “gelato artiginale”, have stickers/certificates from Trip Adviser or “Gambero Rosso”, and might also have flavors “senza latte, zucchero, o uova” (without milk products, added sugar, or eggs). If you take a look at the gelato before buying, or even entering the store, it could save you from the disaster of wasting one of your limited opportunities on a sub-par gelato. According to Italians, it’s important to see how the ice cream looks in the display. If it seems icey, not freshly made, or completely uneaten, skip it. Good signs of great gelato include: homemade/artisanal gelato, a variety of flavors that look popular, lines with locals (non-English speakers), and finally the availability of various toppings (whipped cream, melted chocolate, and nuts). There is no excuse not to try as many different gelaterias as you can; no one will judge you if you go for a second (or third…) cone of the day. To give you a head start, here are a few of my favorite gelato shops in Rome. 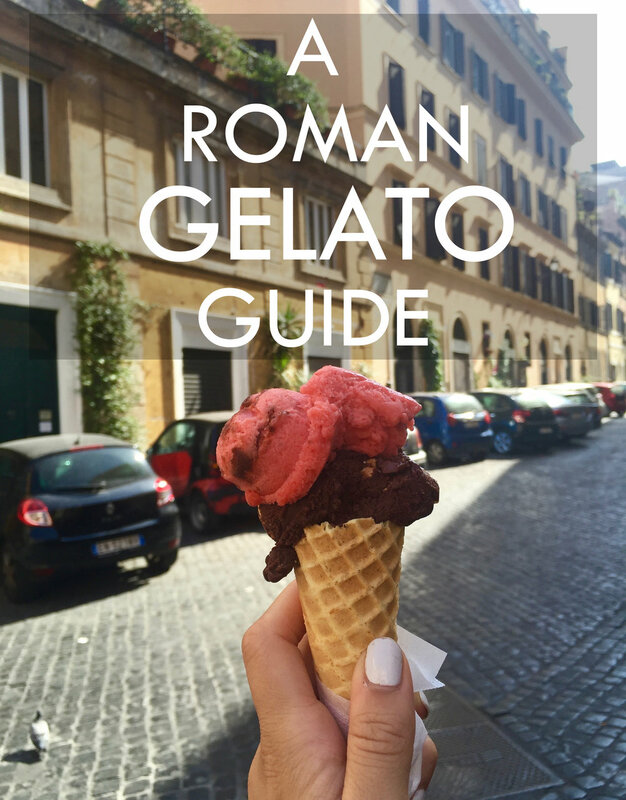 For more information, I recommend checking out these articles about gelato in Rome.